As a full scope Family Medicine physician, we occasionally admit children from clinic or the ER to our pediatrics ward. Thankfully, most of these are relatively low risk cases of diarrhea, respiratory diseases such as RSV, asthma, croup, or neonates with hyperbilirubinemia or sepsis rule-outs. In the United States, access to outpatient care, subspecialty care and immunizations has significantly decreased pediatric admissions to community hospitals. Most of the sickest children including those with trauma, abuse and malignancies are cared for at children’s hospitals rather than rural community hospitals. But what to do when you are in an austere environment? What if you are in a developing country or in my prior experiences, deployed to Afghanistan? In two prior deployments, my pediatric app of choice has been Pedi STAT. Here at imedicalapps.com we have reviewed Pedi STAT previously. We also included it in several “Top 10” app lists for Pediatrics and Family Medicine. Over the years, alternatives to Pedi STAT have come along including PalmPedi, BluCard, Pedi Crisis and Paediatric Emergencies. Most of these apps focus on specific equipment needs, emergency drug dosing, etc. What about more comprehensive information about children with severe diarrheal illnesses such as cholera or children with malaria, HIV/AIDs? The World Health Organization (WHO) has just released a new app containing their most current guidelines for “Hospital Care for Children”. The app is designed for healthcare providers caring for hospitalized children at “first level referral hospitals.” This app includes the 2nd edition of the guidelines released in 2013 and covers the most common and potentially lethal conditions affecting children in low-resource countries. The app includes 12 guidelines ranging from “triage and emergency conditions” to “cough and difficult breathing” to “children with HIV/AIDS”. The app contains a number of appendices covering pediatric procedures, drug dosages, equipment charts and IV fluid recommendations/dosing. You are on a medical mission deployed to a developing country working in the hospital’s emergency room. The ER is filled with children ill with infectious diarrheal illnesses. Near the end of the shift, a father brings in his 2 year old daughter who is febrile to 104 degrees and clearly severely dehydrated from poor PO intake and vomiting. The father denies she has been experiencing any diarrhea. The father reports his village has been having issues with mosquito borne illnesses including malaria. How do you approach this child? What is you plan to work up/treat suspected malaria? What is your rehydration regimen? 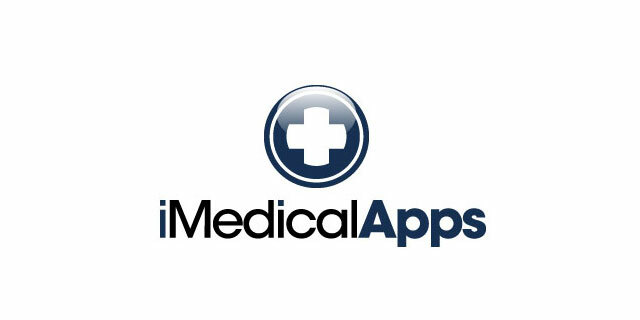 Login to iMedicalApps in order to view the following video review of WHO Hospital Care for Children. Registration for iMedicalApps is free. The app comes from a reputable source and reflects “best practices” put forth by that organization for care of ill pediatric patients in low-resource countries at first level referral hospitals. No specific references are included in the app for the guidelines. This version was just released as an app, but the guideline was last updated in 2013. The downloadable PDF contains a bibliography. Any healthcare providers working in low resource countries who care for hospitalized pediatric patients. The app would also be a good resource for military healthcare providers who are deployed overseas. Universal search or search by guideline. High quality graphics and tables for many sections. Fast hyperlinks to other related chapters, pictures, tables. Fills a niche for providers caring for ill children with minimal resources. Needs a dedicated home button to get back to beginning. Would benefit from embedded videos or better graphics for section on pediatric procedures. Some tables/graphics do not view well on smartdevices. A well designed medical reference for the care of hospitalized children in austere environments. Efficient interface, but needs a dedicated home button. Contains numerous in app charts, tables, graphics, but many are difficult to view on smartphone. Required reference for any pediatric provider working in low resource countries.